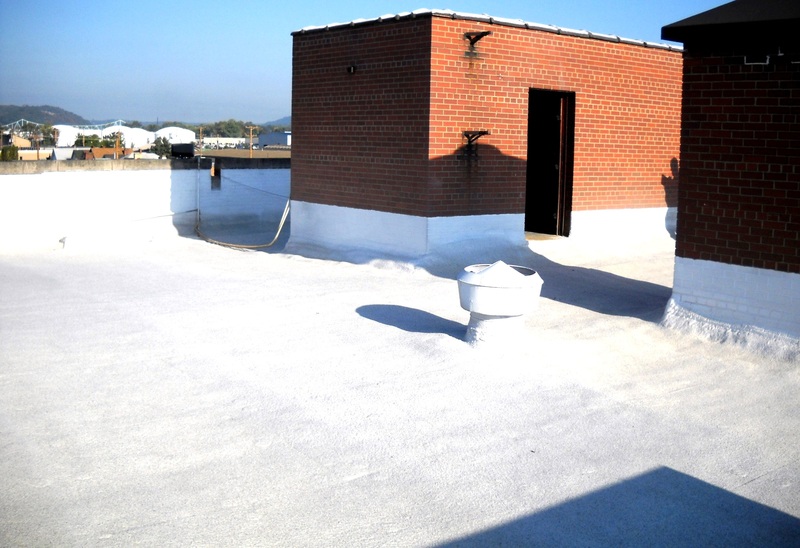 End the leaking by replacing the TPO roof with a new foam roof system. 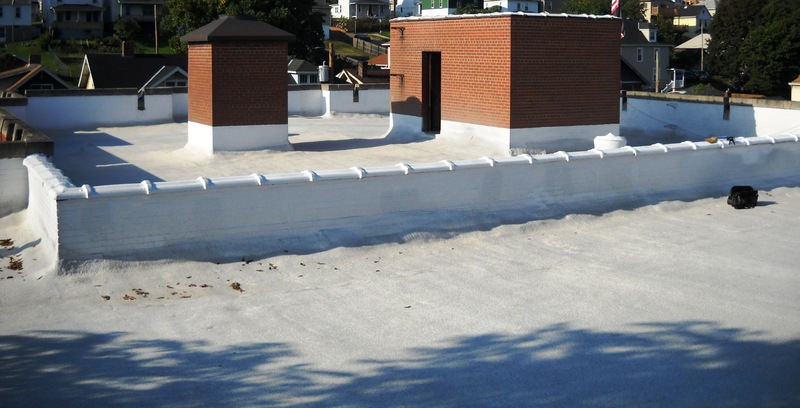 The roof sat below and was visible to many of the surrounding homes so upgrading the appearance, while not part of the definition, was an important expectation. Improve the drainage. Add insulation value. And the project had to be completed with no disruption of the facility’s use or availability. FoamCoat removed the old TPO system and its components. We replaced bad insulation board and lightweight concrete as needed. New DensDeck prime recovery board was installed with lightweight concrete fasteners. 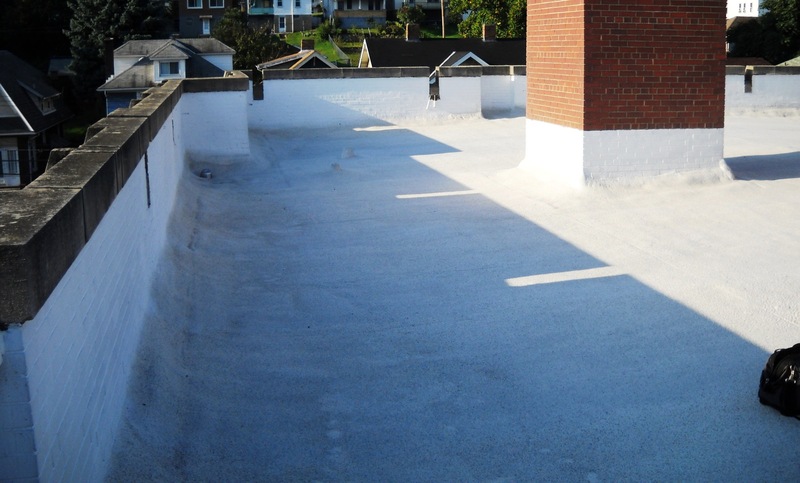 Two inches of BASF foam was applied over the entire surface with silicone coating and granules embedded into the top coat. 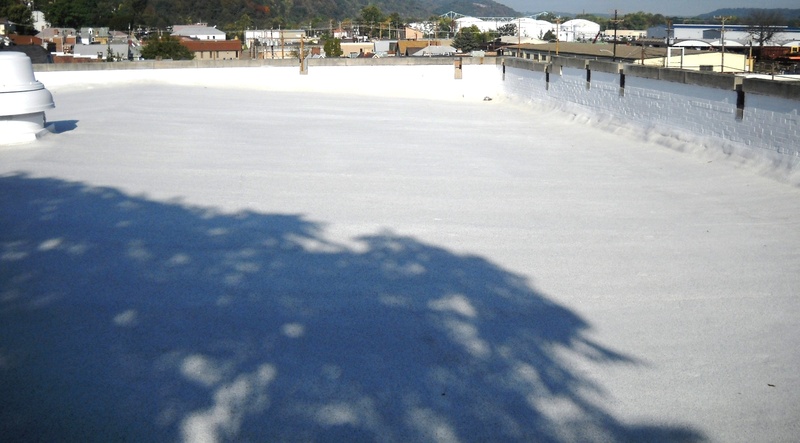 The roof is leak-free and the armory can begin getting the insulation advantage provided with a foam system. Coating of the wall caps, extra effort on the detail work to be sure termination lines had a finished look and other nitpicking efforts led to a neat, upgraded and attractive roof which the owner and neighbors both appreciate. Mission Accomplished.